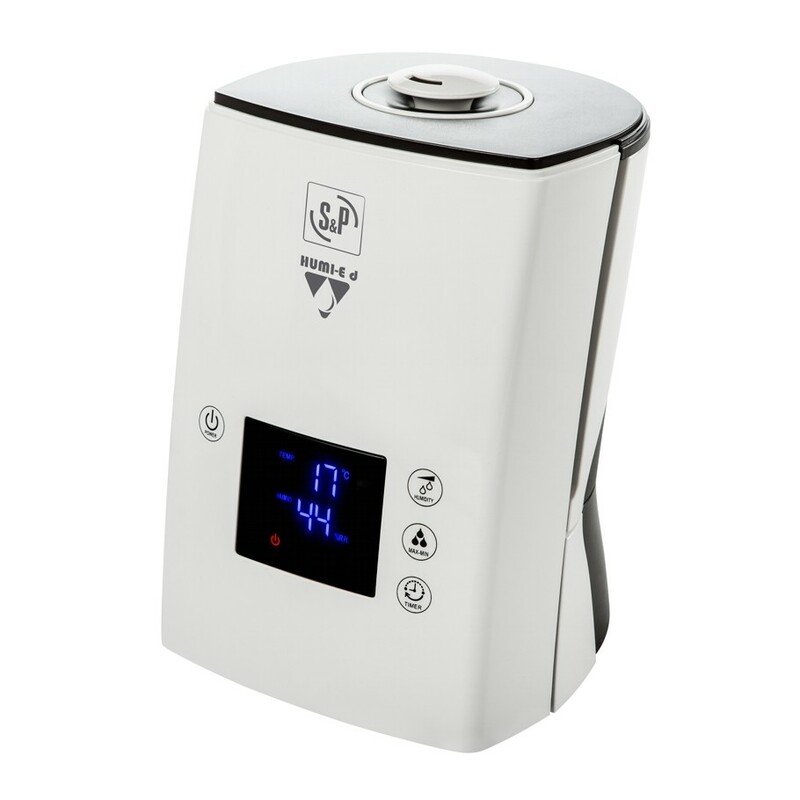 Ultrasonic humidifier with an LCD screen indicating the relative ambient humidity and the status of the functions. Electronic humidistat to accurately select the relative humidity between 45% - 90%. 3 nebulising airflows and 360º adjustable diffuser. Controllable timer from 1 to 12 hours. Acoustic and on-screen signals indicating empty water tank. 360º rotation diffuser to adjust the nebulising airflow.